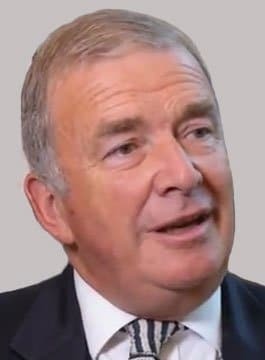 Alan West – The Right Honourable Admiral the Lord West of Spithead GCB, DSC, DUniv has had a distinguished naval and governmental career stretching back decades. Awarded the Distinguished Service Cross for his work commanding the frigate HMS Ardent in the Falkland Islands conflict, Lord Alan West later held several naval appointments and played prominent roles in the re-organisation of the Ministry of Defence. Promoted to Rear Admiral in 1994, he rose to commander of the United Kingdom Task Group in 1996. In 1997 he was promoted to Vice Admiral and Chief of Defence Intelligence. Lord Alan West was promoted to full Admiral in 2000 when he took up position as Fleet Commander-in-Chief. In this role, he was responsible for organising the fleet response on 11th September 2001, which involved major maritime deployments in the northern Indian Ocean and moving the Royal Marines into Afghanistan. Lord Alan West was appointed First Sealord and Chief of the Naval Staff in September 2002, he was also the first and principal naval aide-de-camp to Her Majesty the Queen. He was made a Knight Grand Cross, Order of the Bath, in 2004, and served as First Sea Lord until 2006, when he became chancellor of Southampton Solent University. He was appointed Home Office Minister in June 2007 and was Chairman UK of the National Security Forum. Lord Alan West has unrivalled experience and knowledge in the areas of security, intelligence and defence. He is an expert at risk management and prediction and has significant experience in restructuring and rationalisation of major organisations.